Are you in the Big Apple, aka NYC? . Need something fun to do? 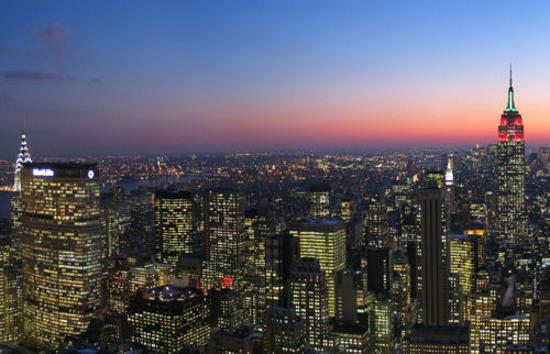 This article will inform you on the ten best things to do in New York City. 1.Broadway play: There are many plays you can see on broadway including, The Lion King, Mary Poppins and Wicked. All these plays are amazing with there jaw dropping stunts and spectacular acting. 2.Chinatown:I personally love Chinatown. There are so many things to buy.--exotic fruits and vegetables, herbs and fresh fish to name a few items. Chinatown is your place to stop to see. 3.Bronx Zoo: With many rare species the Bronx Zoo is a family friendly place to see endangered animals. 4.The Statue of Liberty: New York City's most familiar landmark and the easiest one to overlook since it's only accessible by boat. Still, it's worth the short ferry ride to Liberty Island to see the historic monument. Although you cannot go to the top anymore it is still worth the effort to see a monument that is a huge part of Americas rich and vibriant history. 5. Metropolitan Museum of Art : A world class art museum that has a large collection and a wide range of dynamic, moving exhibits. The museum is home to ancient Egyptian antiquities as well as more modern, contemporary works of art. This museum is so large it cannot be seen in one day. One of a kind pieces of art are held in this magnicicant building. 6.Time Square : This location isn't even a square. Time Square is featured in many movies and videos. It is a colerful spot where millions of tourest go to every year to see the huge tv sceens and exiting night life. The expansive stretch is a feast for all five senses-including massive digital advertisements . 7.Ellis Island. Go and visit elis island. This is a place you will not regret going to. wheather your anciestors camme through the island or you want to see a historique landmark Ellis Island is a must see. 8.Central park Right in the heart of Manhattan stands this oasis of rolling pastures and gardens, stretching from Midtown to Harlem. It was created in 1857 by Frederick Law Olmstead and Calvert Vaux. These days walkers, roller bladers, bikers and joggers compete for space. Romance flourishes at the Bethesda Fountain on Bethesda Terrace. To the north lies the mystery of Belvedere Castle . Nearby is the Delacorte Theater, where you can catch plays in the summer. It blends so easily with the Manhattan environment that it is difficult to guess that it is entirely man made. Across the park lies a charming Central Park Wildlife Conservation Center , and children of all ages love the restored carousel . 9.Rockafell Always filled with people, Rockefeller Center stretches for blocks. There is plenty to do here; in winter an outdoor cafe is transformed into an ice-skating rink. There is a shopping plaza with stores, restaurants and bars. The GE Building at 30 Rockefeller Plaza houses NBC, which offers guided tours of its premises, as well as the Top Of The Rock observation deck. Visitors can also take a tour of Radio City Music Hall on 50th Street at Sixth Avenue. In December, be sure to check out the enormous Christmas tree. 10.Little Italy The heart of this well-known Italian neighborhood is Mulberry Street. Years ago, the vast majority of people who lived here were Italian, but expansion of Chinatown and Italian migration to the suburbs has changed the make-up of the neighborhood. Still, cafes, restaurants and bakeries line the street. Take a walk and smell the fresh baked bread, garlic and sauces. Stop for a glass of wine or tiramisu at a sidewalk cafe, or gorge on the salamis hanging from store windows.